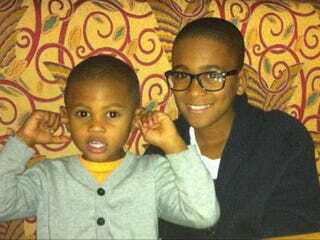 Kyle Glover, Usher's stepson with ex-wife Tameka Raymond, died this morning, TMZ reports. The 11-year-old was declared brain-dead by doctors earlier this month but was kept on life support after an accident in which he was struck in the head by a Jet Ski on Atlanta's Lake Lanier. Doctors removed 11-year-old Kyle Glover from life support after it was determined the injuries were too severe to overcome. We're told Kyle's mother, Tameka Foster, struggled tremendously with the decision. According to our sources, Tameka is understandably devastated. Glover was injured on July 8 … as he was riding in an inner tube that was connected to a pontoon in Lake Lanier. According to authorities, a family friend who was riding a jetski behind the pontoon lost control and collided with Glover's tube.